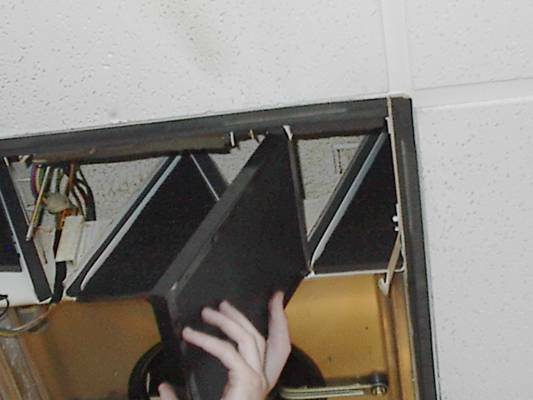 Some systems are great for smoke and particles, others for odors and some are best for chemicals. The Electromedia 100c is the only system that eliminates all impurities to give you truly pure air. Whether your challenge is dust, smoke, or harmful chemicals, the Electromedia 100C will purify your environment, making it safer and more pleasant for everyone. Customers no longer have to choose to tolerate smoky clothes and chemically irritated eyes to enjoy a visit. When customers choose a tobacco flavor, they don’t want the experience contaminated by all the other flavors in your lounge. Enjoy your cigar, without it having to compete with the chemical dangers and overbearing aroma of every cigar around. Reduce allergies, asthma and other environmental irritants, or just feel free to enjoy a cigar or seafood without lingering odors. 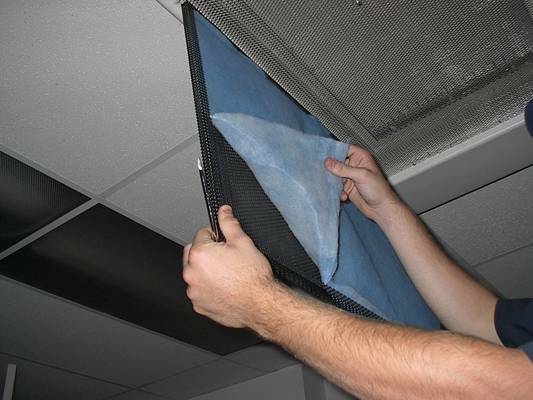 A dust-free environment is critical to your manufacturing. We make it easy to keep it that way. Airborne chemicals in your business are dangerous to employees and customers, and cause customers to reduce their stay in your salon. Make the experience more pleasant for them and profitable for you. You can buy a dust removal filter, an ionizer, a charcoal filter, or a HEPA filter, but no air cleaner combines them all except the Electromedia 100C. The world's most effective and affordable air purification system. Each filter system has its advantages. The problem is that you have to choose the one that does best for your needs. Airborne chemicals are better eliminated on way, dust another, and smoke and odors could be a third. Which is best will also have to do with your environment. The Electromedia 100C uses four separate filters all within one powerful air-moving unit. Filtered air is only helpful if it is distributed throughout the environment. The Electromedia 100C is designed to take advantage of the Coanda airflow effect to help distribute its purified air. The Coanda effect is the air flow pattern that allows a hovercraft to operate, pulling air from below its center, then dispelling it in all directions above. The high pressure above and low pressure below creates even more air movement all around the unit. It is essentially the opposite airflow that helps a helicopter’s blades to provide lift. A very helpful side effect of this most efficient air distribution pattern is that it helps distribute warmed or cooled air as well as clean air. You will find that you can raise your thermostat four degrees or more in summer, and lower it four degrees in winter, with no comfort loss. Imagine what kind of heating and air conditioning savings that will mean, not to mention that hot and cold spots will also be eliminated. 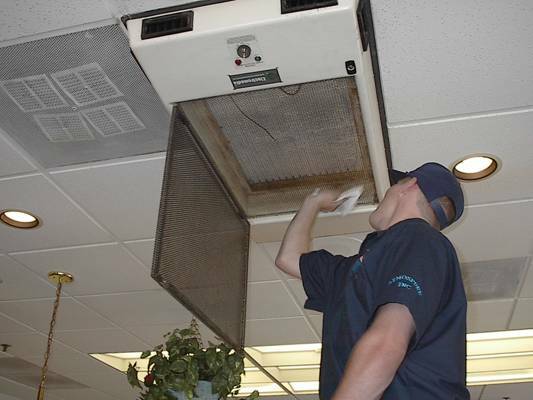 Depending on your air cleaning demands, you’ll need to change or clean the various filters from time to time. 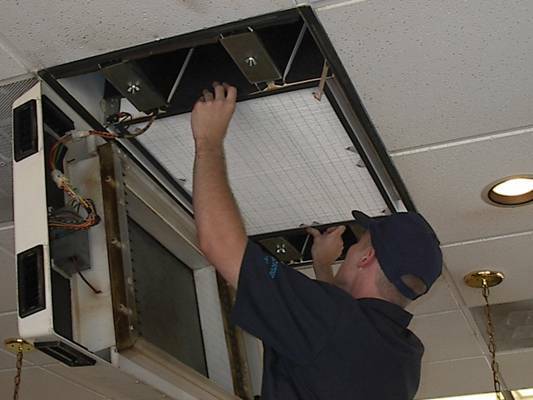 We carry everything you need to make this process easy and inexpensive so your unit can get back to purifying your air. Maintenance on your unit is not difficult. All you need is a screwdriver. We give a simple step by step explanation on how to do a complete cleaning. Some of the steps may need more frequent attention than others, but while you have the door open, you may as well check out all the filters. The Electromedia 100C is available for purchase, rental, or lease-to-own. It is the right filter for almost every application, and the right price for any business. Call us at (847) 736-2387 or fill out the form below. New York to Address Nail Salon Health Threats!